My name is Kim Frandsen, and some of you might have seen my name elsewhere already. I’m the guy posting all the links for the Open Gaming Network, the thing showing the various Pathfinder an 5e releases done by d20pfsrd.com Publishing, as well as being the author of a number of books of my own. So, with this being the first release of it, I should first confess that this was actually originally intended to be a Youtube video blog, and perhaps that might still happen one day. At the moment, however, the camera I have available for my computer and laptop are both of terrible quality (think 80’s FMV), and I really do not feel like doing this whole thing as a selfie on my phone. So trusty keyboard to the rescue! Further, it was actually originally intended to be posted just after New Year’s Eve, but… Well, we all got busy, but I finally had enough and pulled the time out of my schedule to get this started. It’ll hopefully function as a motivator to keep it going, as the plan is to do it roughly once a month. I joined d20pfsrd.com Publishing in June 2017, at the recommendation of Troy Daniels (our editor on Starjammer and Starfinder), where John Reyst was kind enough to take me in. And I hope he’s happy with the work I’ve been doing. Before June 2017, there hadn’t been a single product within 5e and PF released, with the closest one being November 2016 for 5e. And obviously, John wanted that to change. Since then, we’ve hired a BUNCH of new authors (12 as of the end 2017, though that’s even more now), we had 2 new artists (though regrettably, we lost one due to real life issues), and in 2017, after I took over, we released 14 new books for Pathfinder and 1 for 5e. (as some of you can imagine at this point, I’m still very much looking or 5e authors). On Troy’s side, we saw 8 releases for Starjammer or Starfinder since the start of 2017, though that was a bit fewer than was originally planned, again due to outside complications. And what then is the plan for 2018? 1 – Ramp up the 5e product line: This one is probably only really going to speed up once we get a bit further into the year, as I’m still trying to recruit in for it. If you’re interested in becoming part of d20pfsrd.com Publishing, feel free to reach out to me either via email (my email is in our newsletter), through our website, or on any of our social media outlets. 2 – Maintain current product plans for Pathfinder: This one is already in the pipeline, and I’m currently sorting projects through the end of June 2018. We’ve got some interesting things lined up for you, but the goal is for d20pfsrd.com Publishing to put out at least 2 products per month, from any combination of our product lines. 3 – Ramp up Starjammer/Starfinder product releases: This one is obviously Troy’s, but I’m sure he’ll agree with me, that this is part of the plan. We’d like to see more of these two make it into your games, as we believe that there is still a lot of untapped potential here. Just to give you an idea – the first article on the Open Gaming Network (OGN) was posted on the 26th of September last year, and by my last count, we now have 67 different posts already available, and with more already line up for you. 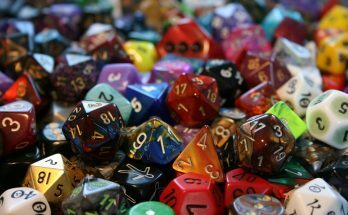 5- Offer ALL d20pfsrd.com Publishing products in Print on Demand format: This is a long-running process, but when I joined, John had a wish to see all our older releases turned into Print-on-Demand products too, for those that like their gaming on paper. And we’ve started that process this month, with both Matt and David (our layout artists) being roped into this, whenever they’re not slaving away on new releases). Our hope is to have everything sorted by the end of the year, so that all the hard work of our authors and artists is in print, and not just PDF formats. 6 – Branch into new systems: This one is tentative, as we have ideas for things we’d like to do, outside of our current systems, but nothing is definitive yet. We’re almost at the end, but I have a bit of a plea for any of our customers: PLEASE REVIEW ANY BOOK YOU BUY! Not just ours, but anything released by anyone you buy from. This may sound odd, but there’s a reasoning behind it here. Our products release on both the Open Gaming Store and on Drivethrurpg as most of you may know, and Drivethrurpg has a system where they have a number of Featured Reviewers (37 of them if I remember right), who get free copies of releases for them to review. As far as I can see there’s no application process for who gets in, but I might have just missed it. In any case that is beside the point. When you put something on Drivethrurpg, you have the opportunity to send your product for review at these featured reviewers, and all of ours have been sent. In total, I’ve given away (not even counting Troy’s releases) more than 500 free copies for them to review. And the amount of reviews we’ve gotten from them is 1. – That’s a hit rate of 0.2% – We had two other reviews beyond that, stemming from my own interaction with our readers on Facebook. Now I understand that some of these reviewers do not review all products, that’s completely fine, especially as some will specialize in various subsystems, games or others, that we do not hit. But Pathfinder is one of the biggest games out there, and with 500 copies given out, I’d have thought I’d get more than just the 1 review. So yes, this is a plea from me, on behalf of publishers everywhere: If you like our books, tell the world through the reviews, tell your friends. If you don’t like them, tell US so we know where we can improve and become better. We all like making games, but your feedback is what allows us to know if we’re on the right track. So, to all of you, in advance, thank you for reviewing. Well that’s it for this “episode” of The Editors Corner. If you like what you’ve read please feel free to comment below! Additionally, if you want me to talk about certain things in this column, comment below and I will do my best to add them to the list!